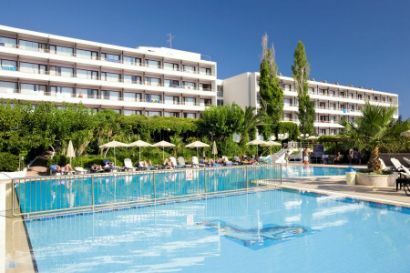 The The Hotel Mediterranee has a fantasitc setting, sit by the large pool soaking up the sun. Private gardens and silvery sands – the Hotel Mediterranee has it all. 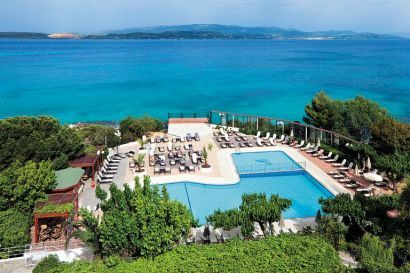 It sits virtually on the beach in one of Kefalonia’s most popular resorts just a stones throw from Lassi’s bars and resturants. 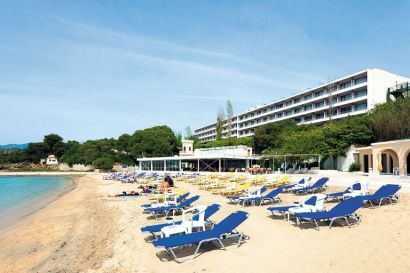 This contemporary hotel has a great pool with a sun terrace overlooking the beach with sun loungers and parasols. 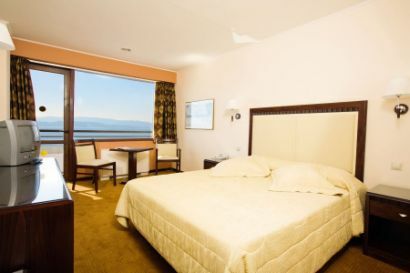 The rooms are well decorated with all modern essentials and each comes with either a garden or sea view. The food is great and the service is of the high quality you would expect. All rooms have centrally controlled air-conditioning usually from 1 Jun–15 Sep, TV and fridge. Standard rooms have 2 or 3 beds (double and a single bed). Sea view rooms and Superior rooms available. Rooms for 4 have 1 double bed‚ a single bed and a camp bed for a child up to 12yrs and will accommodate a maximum of 3 adults and a child or 2 adults and a child and cot. We also offer Rooms for 4. 1. 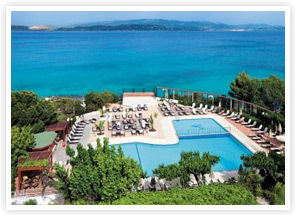 You can check the Hotel Mediterranee availability and package prices at Thomson Holidays.